How do vegetarians get their daily dose of protein? One answer is red lentils. Just one cup of this small but mighty legume contains most of your daily recommended protein and fiber. Not only are they a great meat substitute, lentils can be used instead of traditional chickpeas to make hummus. In a side-by-side comparison with chickpeas, red lentils have close to twice the amount of protein and fiber, which can help lower your cholesterol and satisfy your hunger. 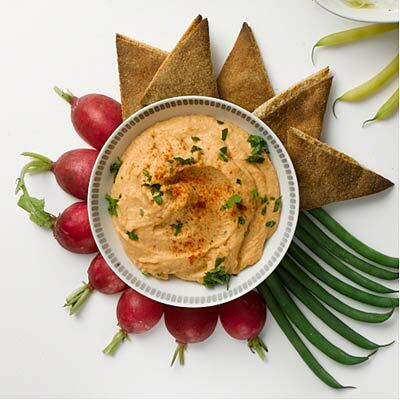 This red lentil-based dip has a creamy texture and delicious flavor from garlic, lemon, paprika, and coriander. This recipe is versatile and forgiving, so the herbs and spices in this dip can easily be adjusted to taste. Serve it with raw broccoli or toasted whole-grain pita wedges; it’s a guaranteed crowd-pleaser at your next gathering.